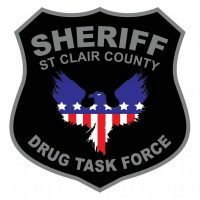 The St. Clair County Sheriff’s Department is announcing a drug bust that occurred Wednesday night in the City of Port Huron. St. Clair County Drug Task Force authorities investigating the sale of heroin in the local area executed a search warrant for a house in the 1200 block of Hancock Street around 9pm Wednesday evening. According to the Sheriff’s office, about a thousand dollars in street value of heroin were found inside the home as well as analogue pills and drug paraphernalia. A 36 year old Port Huron man was arrested and taken to the St. Clair County Jail. He is expected to face a multitude of drug related charges including possession of heroin with intent to deliver and possession of analogue pills.